When you think Marilyn Manson, the last thing that likely comes to mind is country music. But that didn't stop him from joining an all-star cast of country stars onstage recently. Last weekend, Manson folked out with some of country music's biggest stars, including Kris Kristofferson, Tanya Tucker and Shooter Jennings. Plus, actor Dennis Quaid joined them for whatever reason. The unlikely pairing happened at Kristofferson's two-set show at the Ace Hotel in Los Angeles on Sunday (January 20). 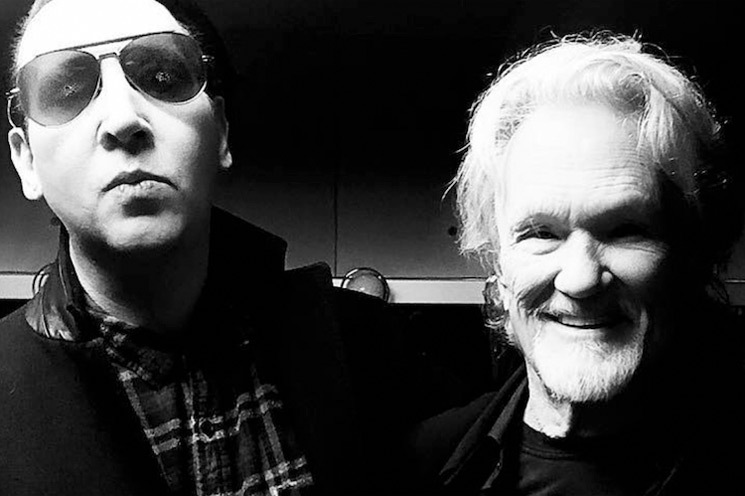 Manson and all those aforementioned artists joined Kristofferson to belt out a big group singalong of "Why Me?," which appeared on Kristofferson's 1972 album Jesus Was a Capricorn. If that seems too wild to believe, you can watch some fan-captured footage of it all go down below. You can also check out Manson's Insta post about the show over here.